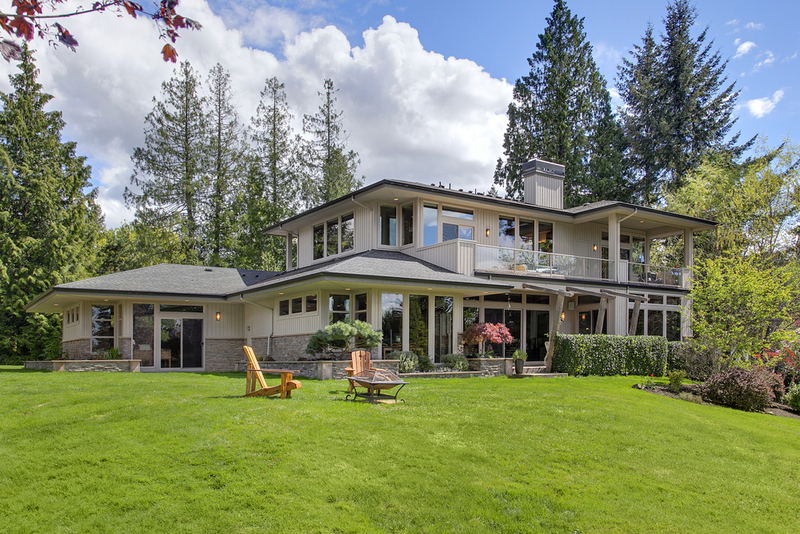 Carefully situated on a level acre at the top of the western ridge of Sammamish, Seven Cedars affords expansive western views over Lake Sammamish and the Olympic Mountains from over 5,300 square feet of meticulously designed and crafted living space. Three massive and autonomous suites couple with ingeniously conceived multi-purpose great spaces to create a residence that is luxurious and stately, yet warm and singularly inviting. Seven Cedars’ adherence to the principles of Prairie School design is exceptional, with a single trim line the basis for all upper and lower fenestration on the main floor. 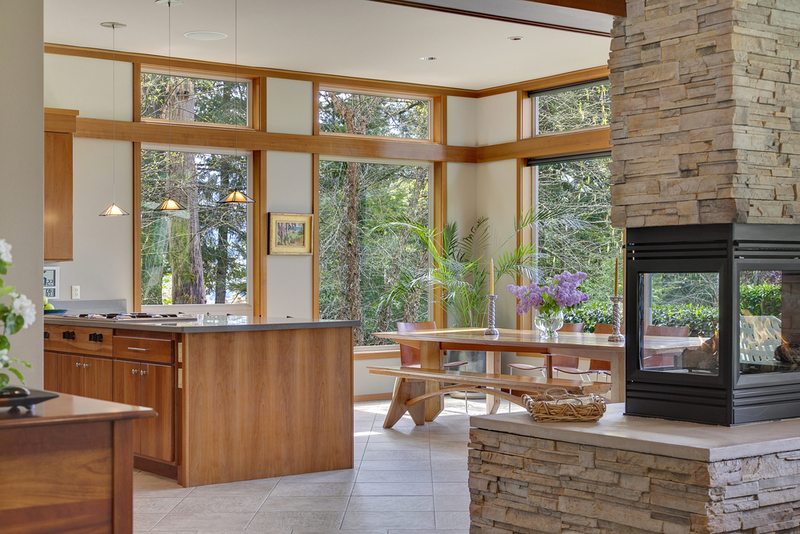 Transom windows are used extensively to bring in additional daylight and push the glass up into the eaves for a seamless quality between indoors and out. 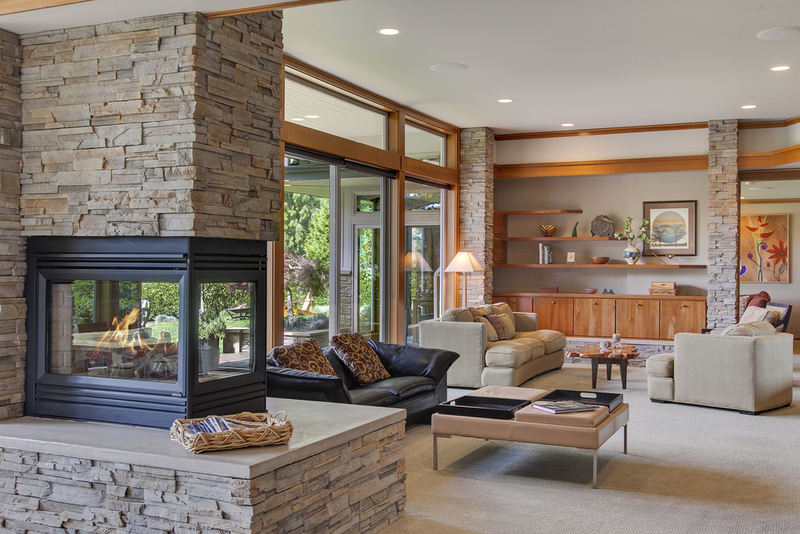 Stacked stone covers the exterior foundation and built-in planting beds, then blends into interior spaces as a further connection between outdoor and conditioned areas. 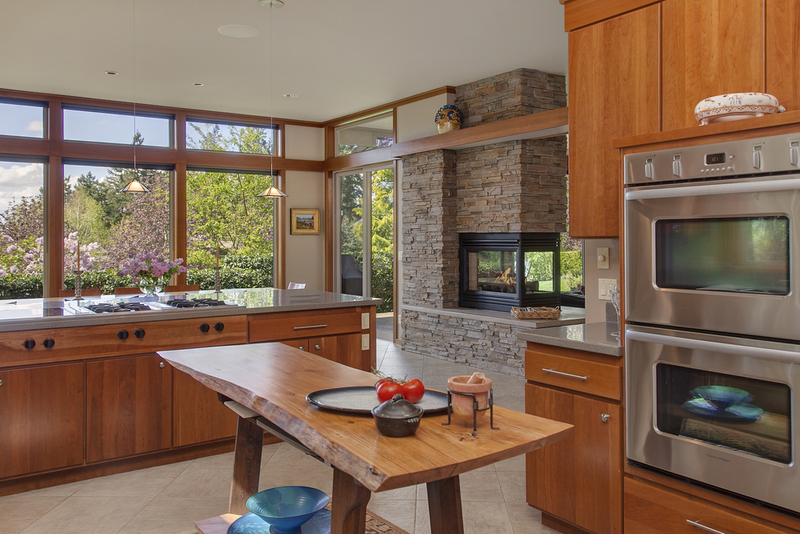 All trim is meticulously crafted from clear vertical grain fir with a natural finish that compliments custom solid cherry cabinetry and built-ins throughout the house. This clean linearity and crisp detail enforces the grid of the floor plan, while affording a sense of enclosure and solidity. The exterior makes great use of iconic wide eaves for shade and to enhance an overall sense of ground-hugging horizontality, while building massing conveys a disciplined line and modesty that blends organically with its surroundings. All siding is comprised of thick, vertical cedar for longevity and a cohesive sense of material honesty. 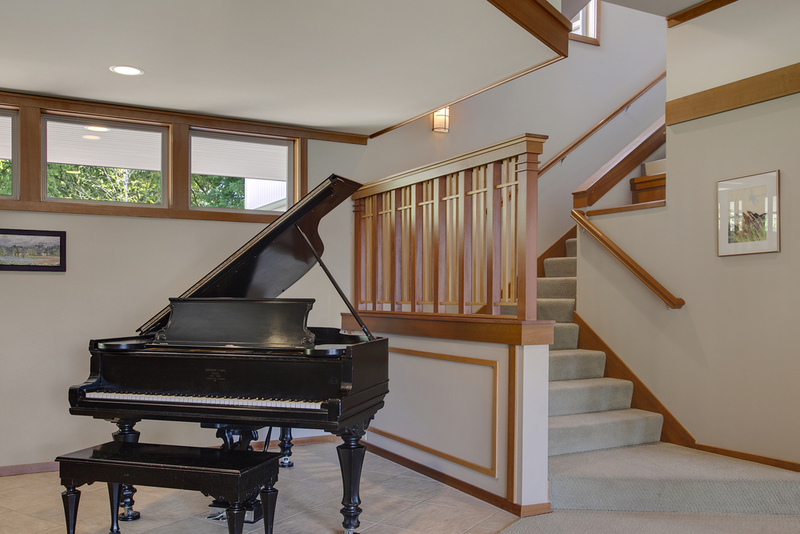 True to Prairie Style form, the ENTRY is a discreetly placed, sheltered area that affords a dramatic introduction to the house through a sky-lit front porch that opens into the house via a piano-scaled foyer. The home subscribes to a number of Frank Lloyd Wright’s Prairie Style design principles. Entry and perimeter spaces are intimate and enveloping, leading to more central great spaces with walls of glass for an almost ethereal effect of transformation as one progresses into the home. Extensive use is made of interior lights of glass at key passageways to carry natural light throughout the house. 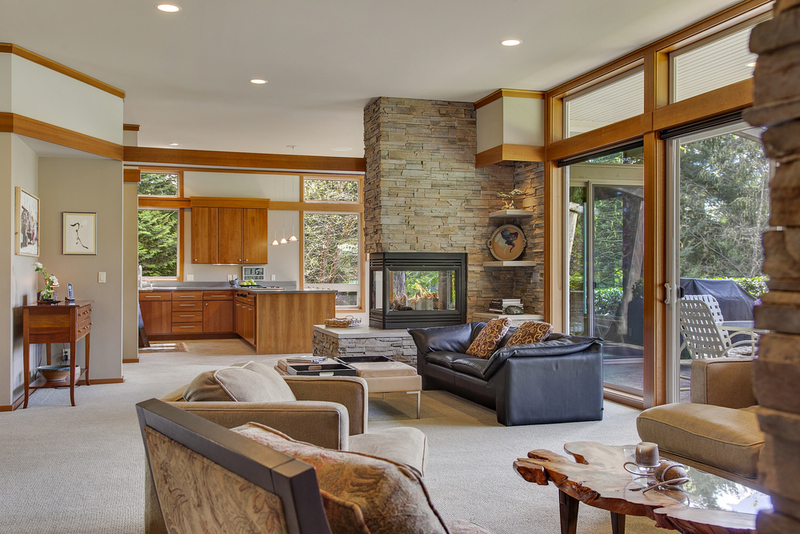 The main floor radiates out from a grand LIVING ROOM that is anchored by stacked stone walls on either side, and includes a three-sided gas fireplace, huge sliding doors to the patio and gorgeous custom cherry built-ins. Transom windows and double layers of perimeter trim help lend the space an enhanced level of height and airiness and further carry the design themes. Corners are activated as dramatic display areas with custom lighting and floating shelves. 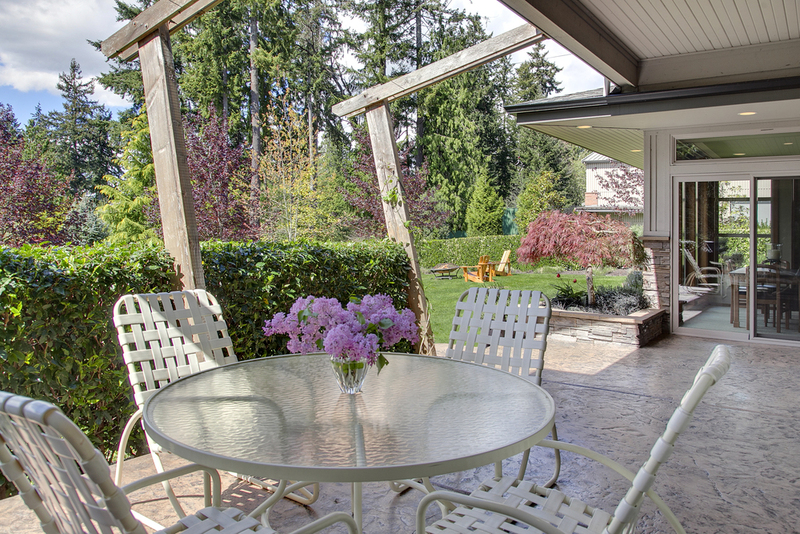 The sliding doors open to a large, stamped concrete PATIO with a modern arbor and natural screening via a tailored hedge, while low-slung stone planting areas anchor the space. 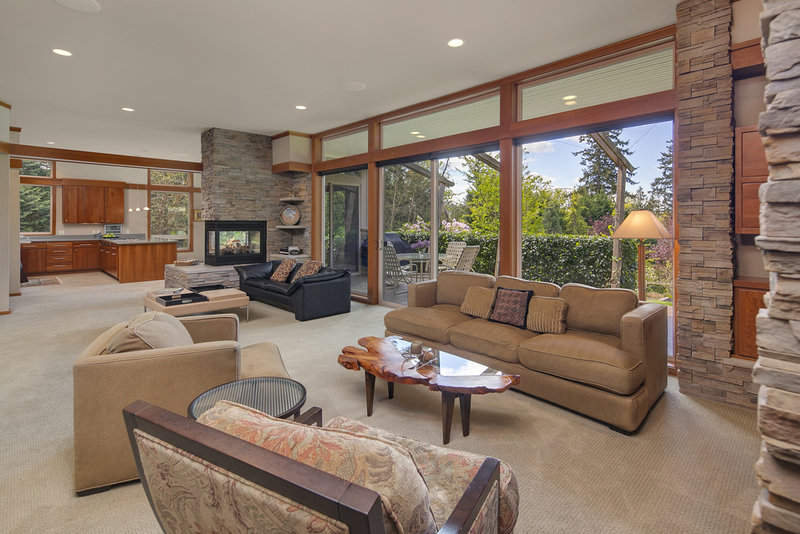 Recessed lighting provides great ambient illumination to all main floor areas. To the right of the living room lies a spacious, yet cozy OFFICE with floor-to-ceiling windows overlooking the yard and direct access to the patio. This area makes use of slightly lower ceiling heights to enhance its sense of intimacy, functioning as a modern equivalent of an inglenook for the family. 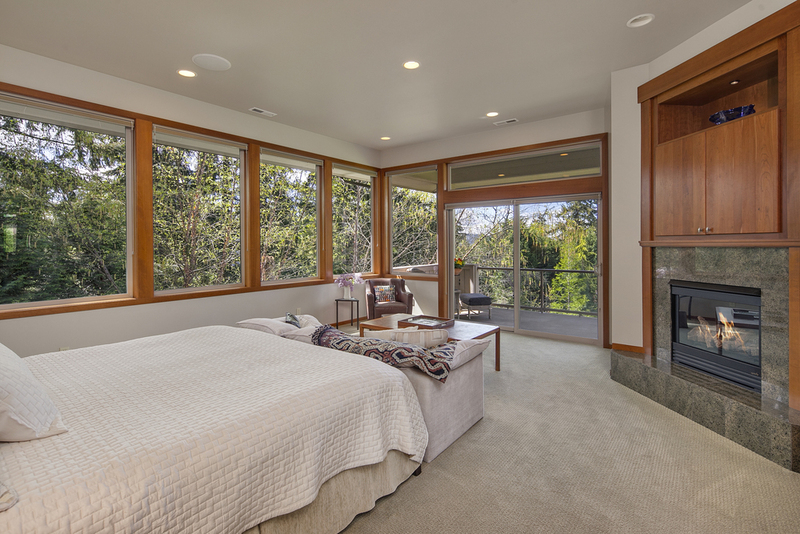 In addition, it can be easily closed off for privacy from the main living area by sets of double sliding textured glass doors for use as an impromptu guest room. A FULL BATH serves this area as both a powder room and shower. The huge gourmet KITCHEN continues the house’s linearity and clean design with custom solid cherry cabinets, sleek minimalist hardware and quartz counters. 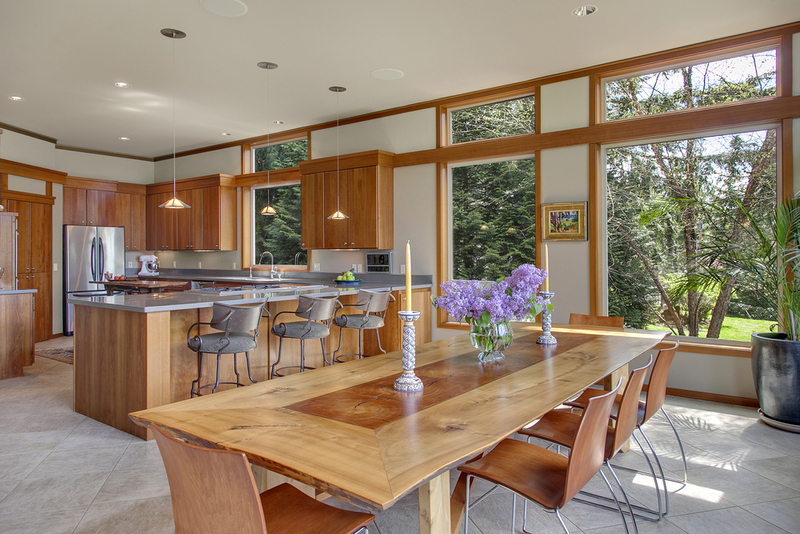 Large format stone tile defines this space along with the light-flooded DINING AREA. A discreet corner pantry conceals tons of storage space for cooking essentials, and a peninsula encompasses a dining bar that can easily accommodate four people for casual meals and socializing. • Gaggenau custom installed cooktop with four gas burners and two electric elements, all activated by discreetly placed controls and ventilated by adjustable downdraft vent units. 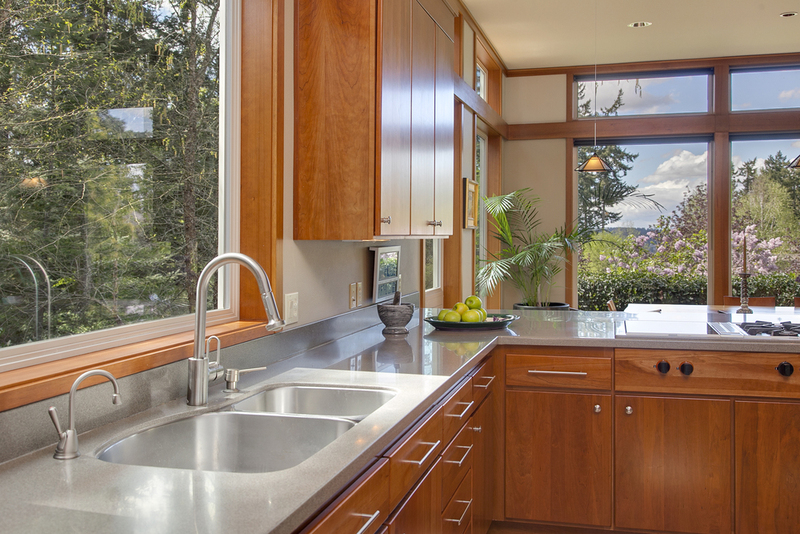 The kitchen offers an ideal work triangle for the dedicated chef and opens directly onto the expansive casual dining area with floor-to-ceiling windows overlooking the beautifully tended specimen garden and lawn, and opens onto the patio through sliding glass doors. A large POWDER ROOM with plenty of linen storage serves this area as well as a custom LAUNDRY ROOM with solid cherry cabinets, top-of-the-line LG washer and dryer and a home office area. 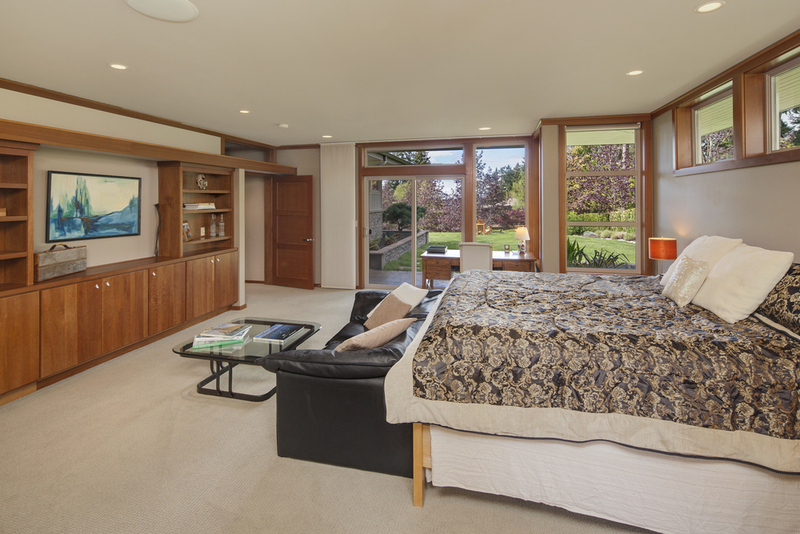 The MAIN FLOOR MASTER SUITE exists in an autonomous wing of the house, easily closed off for privacy, and open to its own patio via sliding glass doors. A wall of custom solid cherry built-ins anchors the space and guides the way into a beautifully detailed bath, with vintage-style glazed tile, a large dressing room and double sink vanity. A large shower and private lavatory complete this exceptionally spacious and accessible bath. The STAIRCASE gently meanders up to second floor and is a masterpiece of meticulous detail. It has been carefully engineered to provide an open expanse to the second level for an airy and uninterrupted sense of line and connection. 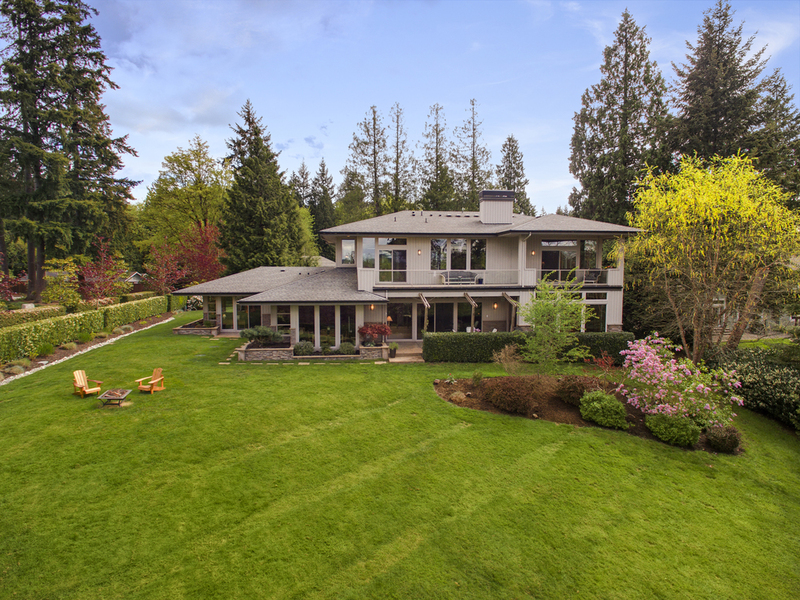 In an autonomous wing of the second level, sits a private SECOND MASTER SUITE 1,575 square foot sanctuary of sublimely luxurious space overlooking the gardens and beyond to Lake Sammamish. The main bedroom is raised to the highest point of the house and features a sleeping area centered in the room to maximize views. 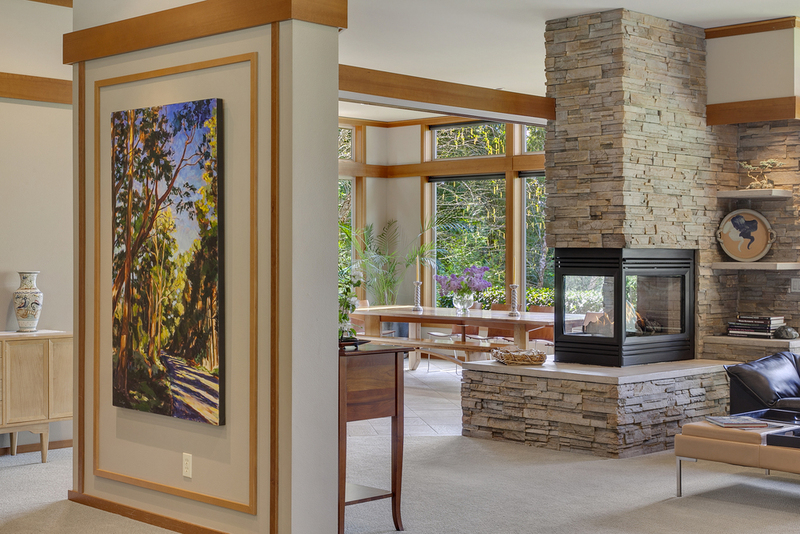 Custom built-ins for books and media surround a gas fireplace with granite face. The room encased by large windows set into the eaves for unmatched daylight and stunning territorial and garden views. A large built-in coffee bar anchors the corner of the suite and affords a great space for morning preparations. 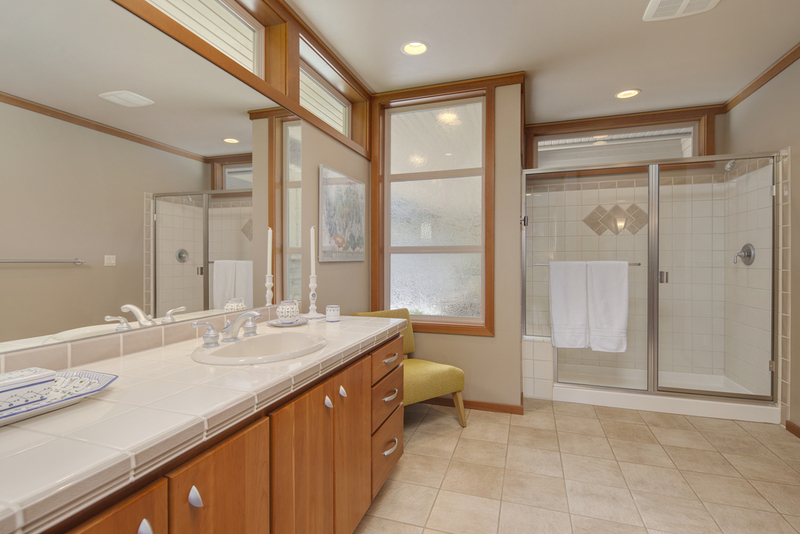 The MASTER BATH is an amazing space, featuring solid cherry cabinetry, custom built-ins and natural stone tile. A two-person, jetted soaking tub looks out over the back yard, and is complemented by a fully glassed-in shower of similarly grand proportions. 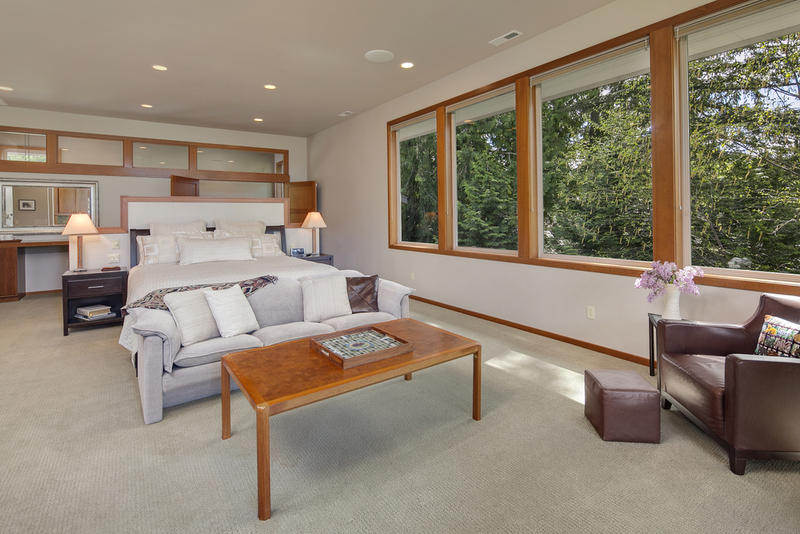 Huge windows frame views of the surrounding mature plantings and trees, while a private lavatory room is connected to the bath via a sliding door. The master closet is a full DRESSING SUITE unto itself, featuring built-ins and a custom laundry closet with organized hampers, hanging space and stacked Asko washer and dryer. This singular suite also includes a large and completely private home OFFICE SPACE with access to two decks and wrap-around windows. In addition, there is a deep, PRIVATE DECK that offers both covered and open space from which to enjoy the outdoors and views. The other half of the second floor is devoted to multifunctional family space, and includes a STUDIO/CRAFT AREA with custom upper and lower cherry cabinets and a deep stainless sink, a large den area with deck space and plenty of room for television and games, a FULL BATH and an oversized BEDROOM that can easily house two queen-size beds. This area is ideal as a virtual guest apartment, a communal area for children, or as home to a complex home office or business. The possibilities are endless, and the area is accessible by its own entry for added privacy and convenience. 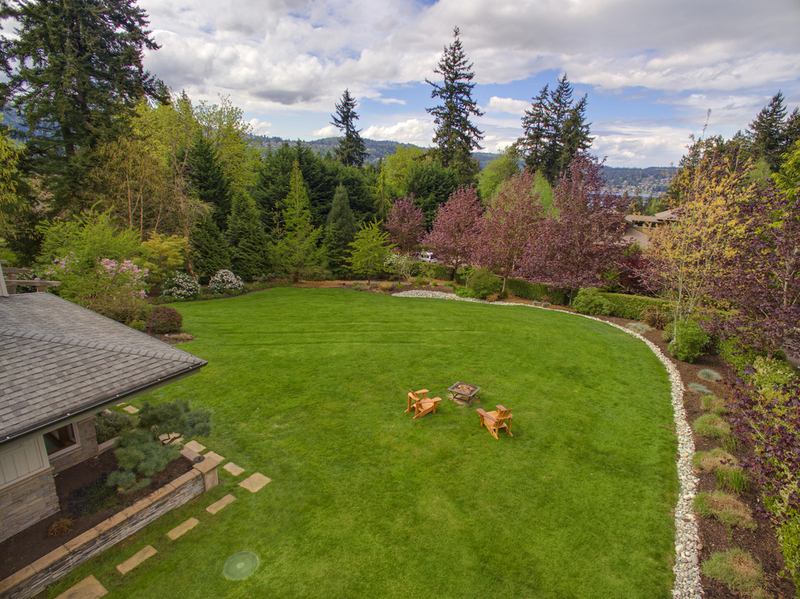 Seven Cedars sits on a level and exquisitely landscaped one-acre lot at the top of the western ridge of Sammamish. It is surrounded by sprawling lawns, interspersed with lush planting beds and native specimen trees. The grounds are ideal for outdoor entertaining, active family life or simple relaxation and blend seamlessly with house for an organic sense of cohesion. An extra-deep, 3-car garage encloses the driveway and affords lots of space for vehicle storage or use as a shop. A unique property that is at once grand and luxurious, yet eminently comforting and inviting for everyday living. It is an exceptionally well-wrought tribute to the Prairie School of architecture that still celebrates modern ideas of space planning and luxury, all the while presenting a sensibility that is elegant in its modesty and singular in its execution and permanence.